The first Catholic Chapel in Galliano was built in 1889 under the supervision of Father Emile Peufier, Pastor of Holy Rosary Church in Larose, Louisiana. This building was constructed of a rough wooden framework covered with palmettos. It was built on the present church property, which had been purchased two years earlier, August 18, 1887 by Father Peufier. Father Peufier purchased the property in his own name from Mrs. Marguerite Charpentier Guidry. In 1889, Father Peufier wrote the following entry in his report to the Archdiocese of New Orleans: "Twelve miles from Larose, Saint Jacob at Cote Cheramie, one palmetto chapel - Mass said occasionally." Galliano was then called "Cote Cheramie", probably named after the Cheramie families who were first to settle in the area. 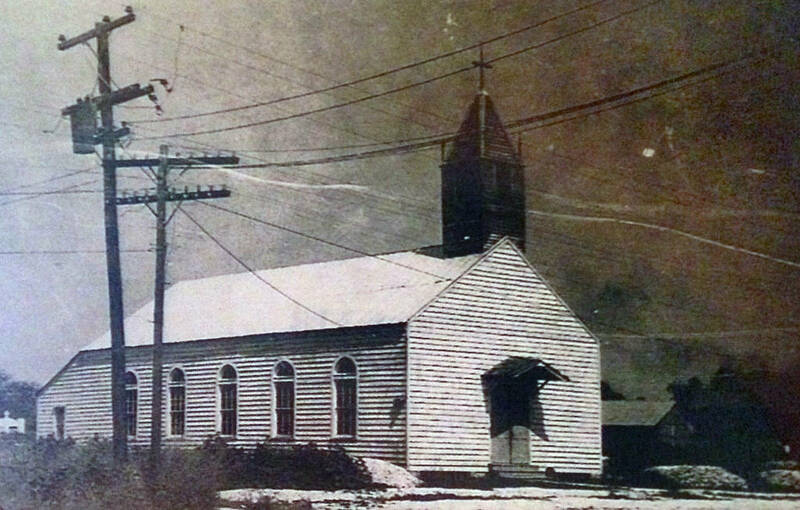 The first palmetto chapel was demolished by the hurricane of 1893, which is commonly known as "l'ourangan de la Cheniere" (the Cheniere Caminada Hurricane). This storm, as well as the storms of 1909 and 1915, prompted a migration of people from the coastal areas to the banks of Bayou Lafourche. Some settled in Orange City (Leeville), others came from Golden Meadow, Cote Cheramie (Galliano), and Cote Blanche (Cut Off). On the same day as the Cheniere Store, September 30, 1893, the first burial in Saint Joseph Cemetery took place. It was that of Emile Eymard, husband of Eugenie Cheramie. In 1900, another wooden frame palmetto chapel was built, but larger than the first. This building lasted until 1903 when a frame wooden building was constructed and dedicated under the patronage of Saint Joseph. Father Alexandre Julie', who was pastor at Holy Rosary, Larose celebrated Mass in the Galliano Chapel once ever month or two. The priest came by boat, once a year he would stay three days to prepare the children for First Communion. 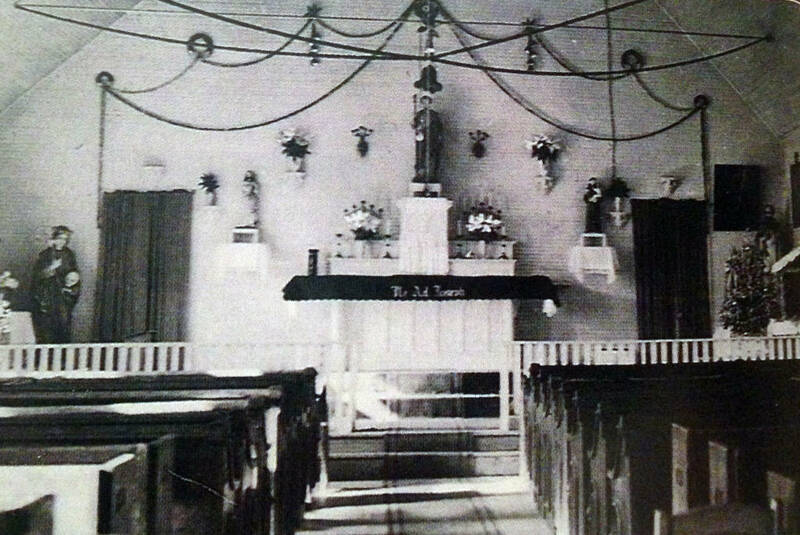 The wooden chapel served also as the first public school in Galliano in the early 1900's. Miss Effie Verret, a native of Houma, taught the children. By 1910, classes were held in the attic of Julien "None Ton" Galliano's General Merchandise Store directly across the Bayou from the Church. Father Francis M. Jan was assigned to Holy Rosary in Mary 1912 and was in charge of all the South Lafourche area. In 1913, he obtained a new bell for the Galliano Chapel, which was blessed on May 29, 1913. This bell was transferred to the present Church when it was built in 1949 and still announces Mass this day. As the population of Folden Meadow and Galliano steadily increased, it was decided in 1916 that a new Church Parish was to be formed and centering in Golden Meadow, with Galliano and Leeville as missions. 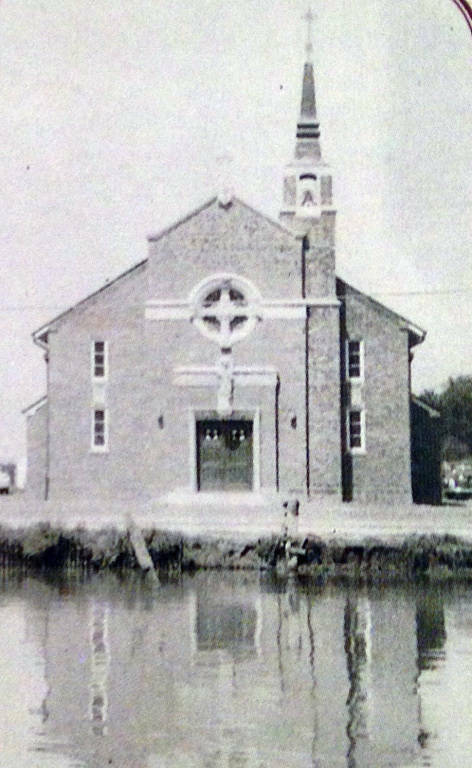 Father Yves Grail was assigned as pastor of the new Parish, but the plans for the new Parish failed and in February, 1917 Father Grail left and Galliano, Golden Meadow, and Leeville were again assigned to Larose. Then in 1918, Father Euclid J. Blanchet was appointed pastor of Golden Meadow with Galliano and Leeville assigned to his care. He wrote in one of his reports that he celebrated Mass in Saint Joseph Chapel on Sundays, when weather permitted. Father Leo A. LaBelle succeeded Father Blanchet as pastor at Golden Meadow on April 6, 1920. Four years later, Galliano was assigned to the newly formed Parish of Sacred Heart at Cote Blanche, with Father Francis Weiss as first Pastor. Father Weiss celebrated Mass in Galliano every other Sunday beginning in 1924. By 1928, Saturday Masses were being celebrated and in 1929, Mass was celebrated every Sunday in Saint Joseph Chapel. Father Weiss remained pastor of Cote Blanche until March 9, 1945, serving over twenty years. Father Francis Barbier was the next pastor. With a growing populations in Galliano, Father Barbier recognized the need for a new and bigger Church in Galliano. Drives to collet funds for the new Church were made, and by the end of 1945 had collected some $24,000.00. Donations, Church collections and Annual Church bazaars provided the balance of $90,000.00. 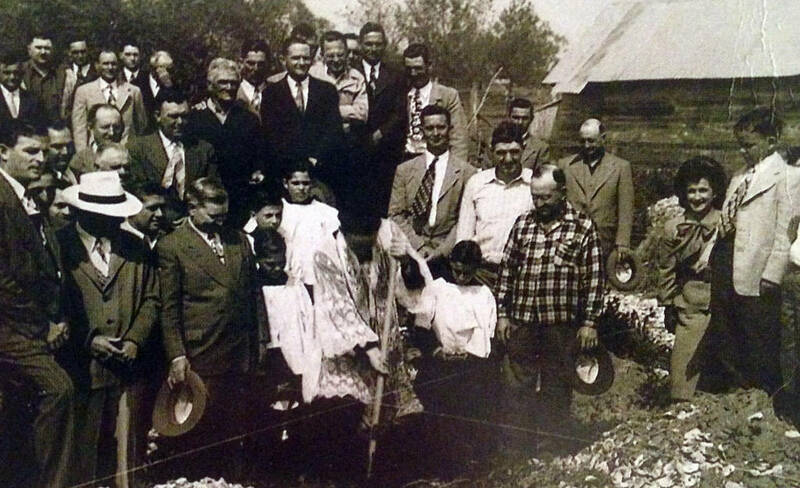 Ground breaking ceremonies for the new Church were held on Easter Sunday, 1948. 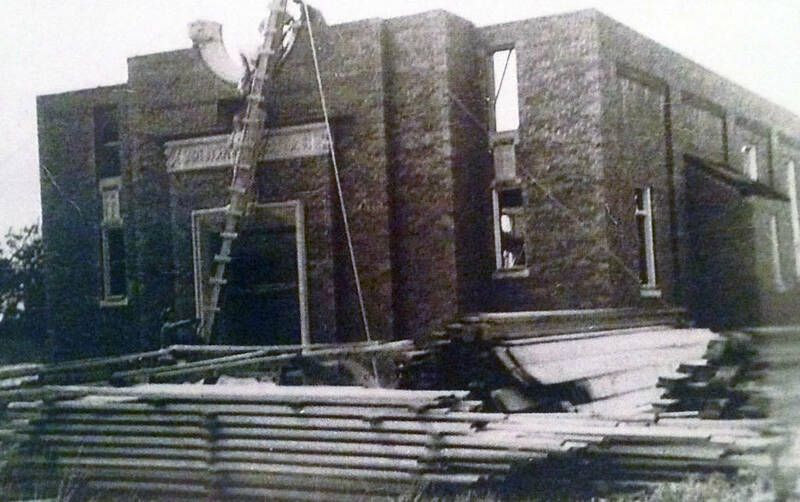 Construction began shortly afterwards by the Contractor, Clarence Albert of Thibodaux. The architects were Bendernagel, Cazale and Bendernagel of New Orleans. The cost of the building and architectural fees was $95,182.63. cost of the Church furnishings (pews, altars, tabernacle, brassware, confessionals, lights, statues, etc.) was $21,391.61 for a total of $116,574.24. 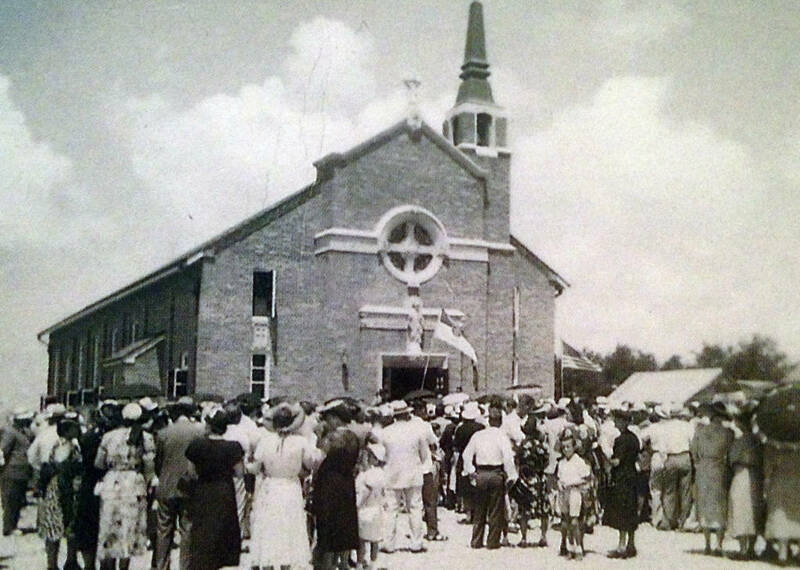 The Blessing and Dedication of the new Church was on June 12, 1949 with the Most Reverend Joseph F. Rummel, Archbishop of New Orleans presiding over the ceremonies. Father Barbier celebrated the Solemn High Mass, assisted by Reverends Dennis J. Bergeron and Authur J. LeBlanc, former assistant Pastors, Monsignor A.F Raviore of Saint Joseph Church in Thibodaux delivered the sermon. Father Elmo Romagosa, who was assistant Pastor, directed the Saint Joseph Choir. The old wooden Church had been moved from the center of the Church grounds to the far left, and used for a Parish hall until 1964 when it was sold and moved. Saint Joseph Church remained a Mission of Sacred Heart Church in Cut Off under the care of Father Francis Barbier and his associate Father Kermit Trahan for another nine years. On June 28, 1958, Saint Joseph Mission was established as a separate Parish by Archbishop Rummel, with Father Tjebbe Bekema, a native of Holland, as the first Pastor. On his arrival in Galliano, Father Bekema rented a house belonging to Mrs. Elvest Galliano on the corner of West Main and 176th Street to use for a temporary Rectory. Funds were raised and formal plans drawn for the present Rectory, which was completed in 1962. The first babies to be Baptized in the new Parish of Saint Joseph on June 29, 1958 were Wade Anthony Bourg, son of Calvin and Betty Barrios Bourg, and Jay Jody Michael Cheramie, son of Lawrence and Claudia Cheramie. 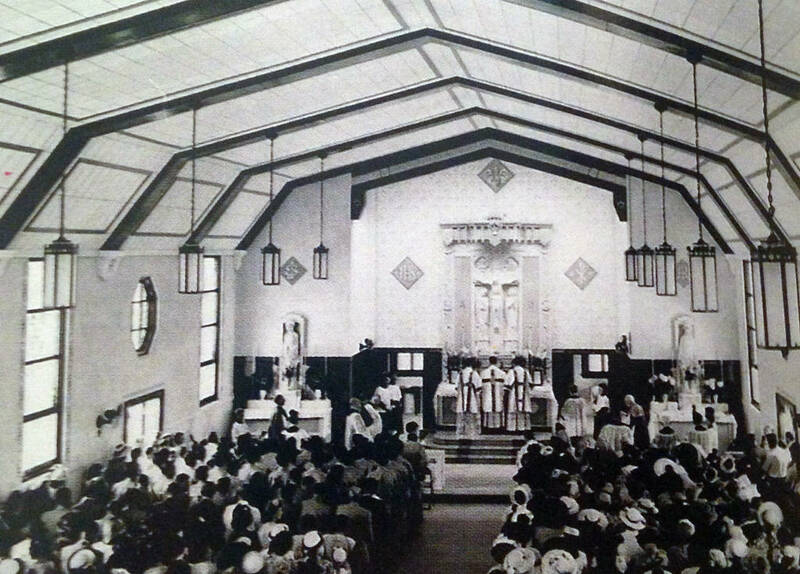 The records of Baptism, Marriage and Burials in Saint Joseph Church began in October 1949. Bishop L. Abel Callout administered the Sacrament of Confirmation to the first class of Saint Joseph Parish on May 13, 1960. The first Mausoleum was built in 1964.